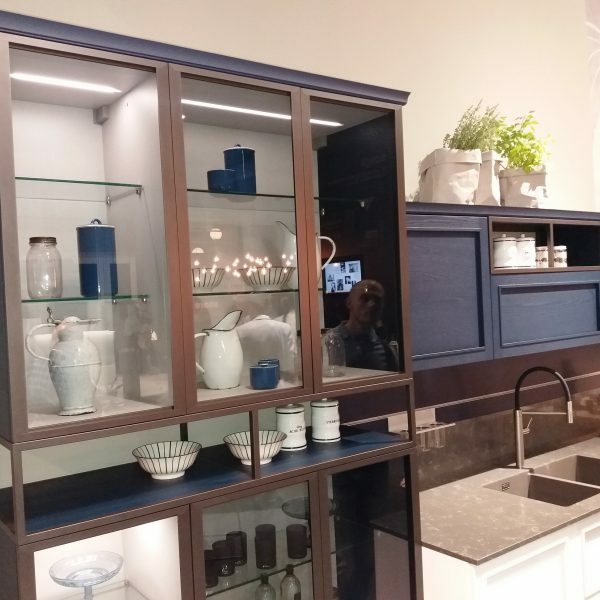 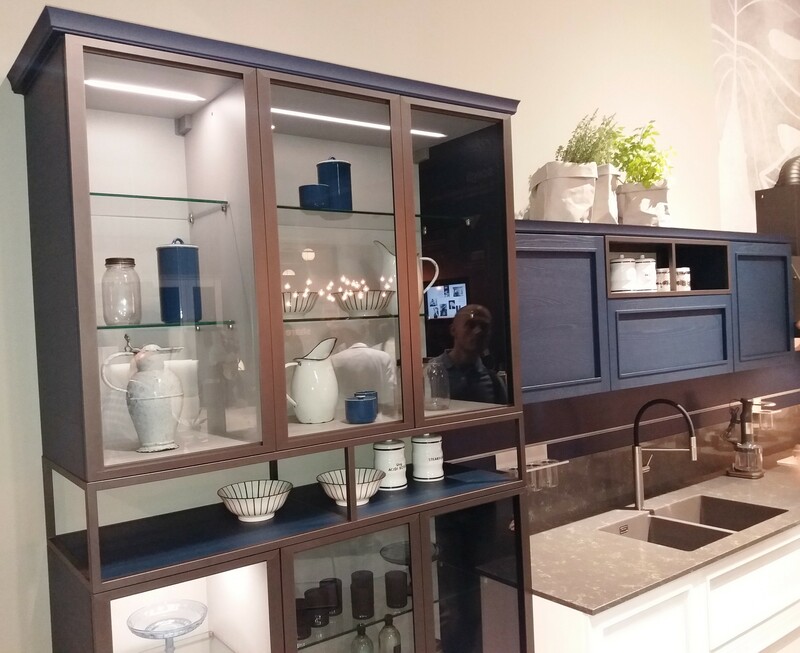 This beautiful ARREX Le Cucine kitchen was exhibited at the EuroCucina 2018 trade show in Milan. 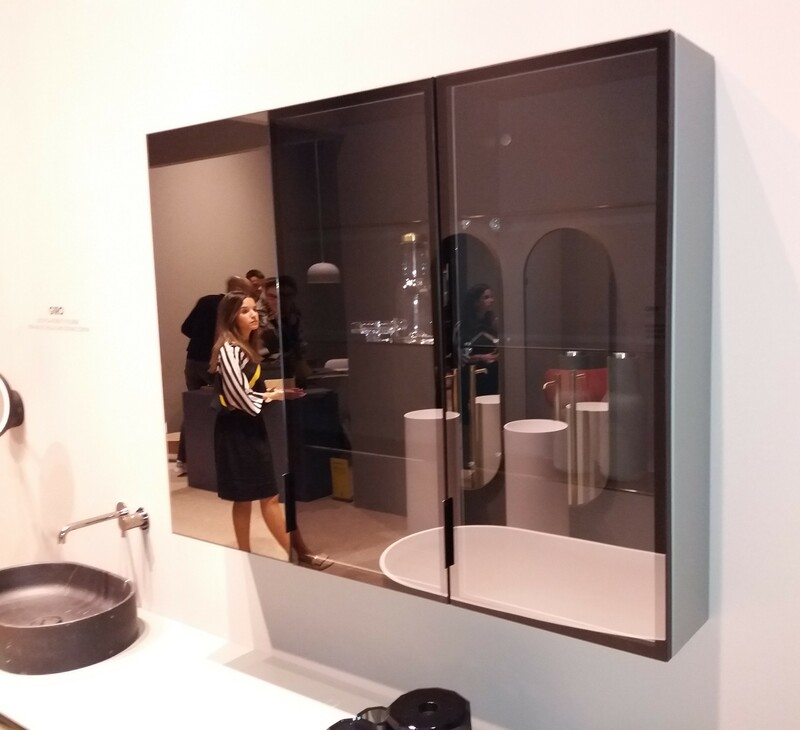 The fronts are made out of aluminium frames with glass. 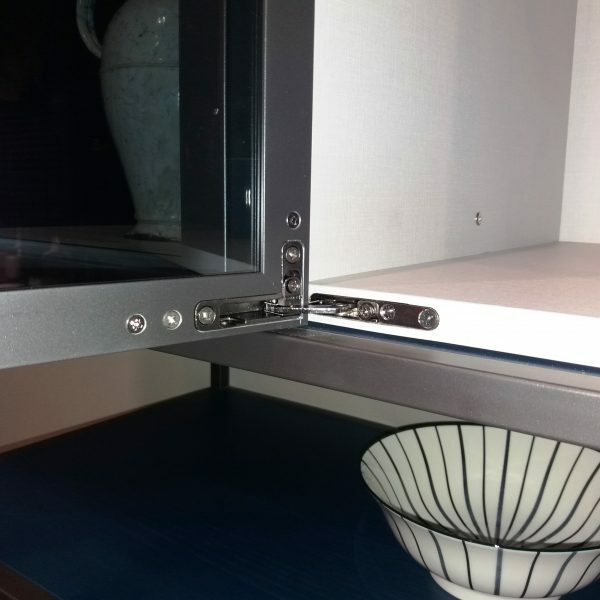 The door is fixed with the Salice Air hidden hinges. 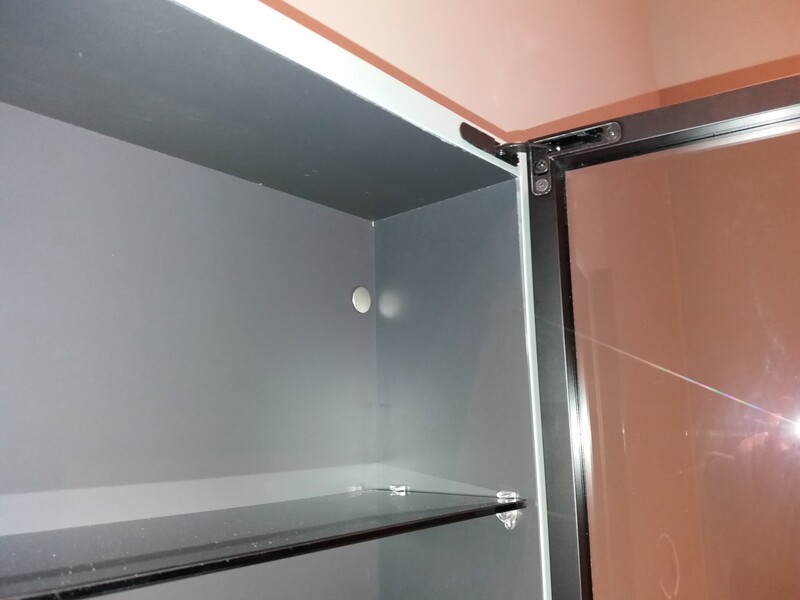 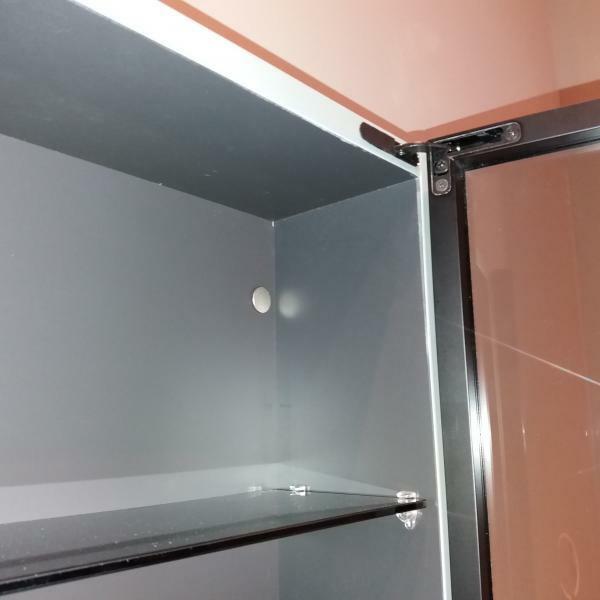 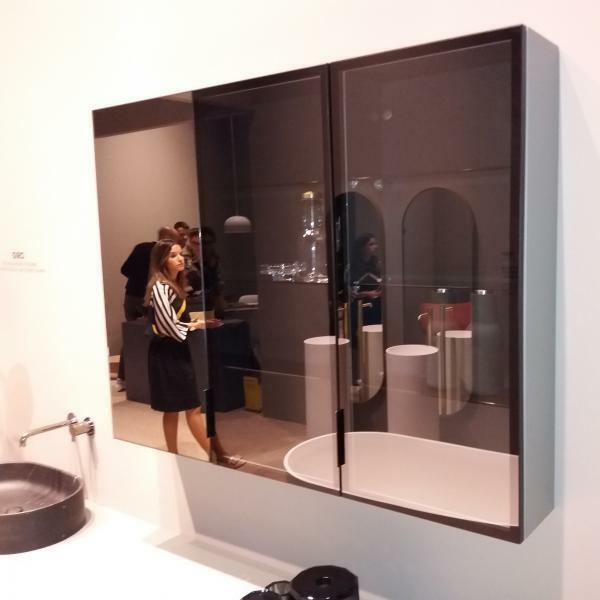 This nice hanging bathroom cabinet has aluminium framed glass doors. 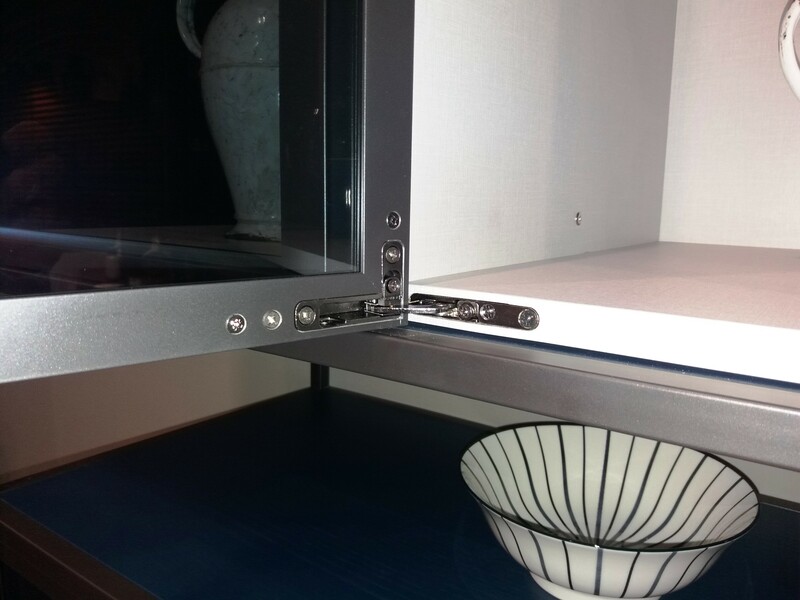 The doors are fitted with the Salice Air hinges (Titanium finish).